On Saturday, September 12, H.E. 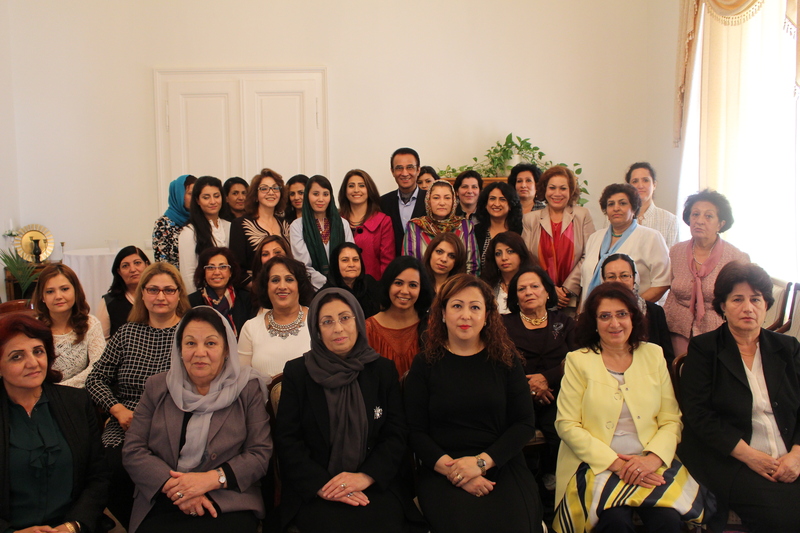 Minister Azimi met with women of the Afghan community in Vienna at a reception hosted by H.E. Ambassador Erfani in his residence. At the outset, H.E. Ambassador Erfani welcomed H.E. Minister Aimi and the group of 60 women and emphasized the importance of the empowerment of women in Afghanistan as vital for a prosperous and democratic Afghanistan. Ambassador Erfani introduced Minister Azimi to the intelligent, educated and committed women of the Afghan community based in Vienna and briefed the women gathered on the programs and activities of Minister Azimi during her time in Vienna. 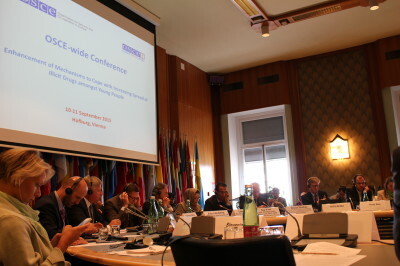 Minister Azimi’s programme included visiting Vienna in order to attend and speak at the Organization for Security Cooperation in Europe Conference on Illicit Drugs Among Young People as well as attending a briefing at the VIC where she made a presentation on the ongoing situation in the country. During both meetings, Minister Azimi reaffirmed the commitment of the government of Afghanistan in the fight against drugs. During her reception with women from the Afghan community, Minister Azimi briefed the participants on the situation in the country for women and children, as well as addicted women and children. Minister Azimi expressed her commitment on behalf of the National Unity Government of Afghanistan to work Afghan people residing in Europe, including on issues relating to further developing rights for women, children in particular those women and children struggling with addiction. She took questions from the women on the rights for women, children, and addicts and entered into an open discussion of how Afghan women abroad can contribute to the well-being of women and children in Afghanistan, particularly those struggling with addiction. Today as part of the two day conference hosted by the OSCE on the “Enhancement of Mechanisms to Cope with Increasing Spread of Illicit Drugs amongst Young People”, H.E. Minister Azimi delivered a speech giving an overview of the drug control situation in Afghanistan. She noted that poppy cultivation had increased by 7% compared with previous years. Tragically, Afghanistan also witnessed an alarming increase in the rate of addiction in its people with recent surveys showing approximately 2.9 to 3.6 million Afghans could test positive for one or more drugs and 1.0 to 1.2 million of these people are children. Minister Azimi noted several challenges for Afghanistan in dealing with the drug problem, including: ineffective alternative livelihood programs and insufficient resources in the area of addiction treatment. Success in countering narcotics will be gained through addressing the growing link between drug trade and terrorism and focusing on the root causes of illicit drug cultivation including poverty, unemployment, and lack of alternative livelihood. Minister Azimi also noted that The drivers of drug business at regional and international levels need to be addressed with a special focus on its financial aspect in combination with intensified efforts to combat trafficking in precursors. Overall success in Afghanistan, the region and the world will only come about with increased cooperation and coordination in counter narcotic efforts through information sharing. Minister Azimi further noted that More resources are needed to address the root causes of drug use among young people as well as to strengthen preventive measures including awareness raising among young people. She sees a a great potential in civil society institutions in helping with preventive measures. Today, the Minister of Counter Narcotics Afghanistan, H.E. 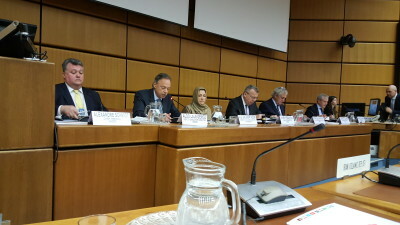 Minister Azimi, addressed for a second time the UN General Assembly Special Session (UNGASS) on the World Drug Problem. In her address, she presented an overview of the counter narcotics efforts in Afghanistan, the emerging challenges and trends as well as the initiatives being undertaken in Afghanistan under the new counter narcotics strategy. Minister Azimi noted the progress made by Afghanistan in cooperation with the international partners over the past 14 years but despite this progress, illicit narcotics continue to inflict a great deal of damage to Afghan society, the broader region and the world. Minister Azimi elaborated that the first challenge in counter narcotics is that organized crime groups continue to strengthen in the region and abroad including the trafficking of drugs and drug precursors to Afghanistan. She called for improved border security and continued cooperation and support from the international community. A second, challenge is the alarming increase in those addicted to drugs in Afghanistan in recent years. Minister Azimi noted that there are three million addicts in the country with 9% being children and 11% women. She called for integrated efforts in both prevention and treatment to address this tragic phenomenon. The third challenge to be faced is that those farmers involved in poppy cultivation must do so for their livelihood, yet receive only 4% of the 61$ billion illicit drug business. Minister Azimi called for provision of sustainable livelihoods which must be a part of the broader economic development agenda. H.E. Ambassador Erfani, in his role as Vice-Chair of the Board tasked by the Counter Narcotics Division with the preparations for the UN General Assembly Special Session on the World Drug Problem in 2016, welcomed the Minister of Counter Narcotics of Afghanistan, H.E. Minister Azimi. He noted that UNGASS on the World Drug Problem in 2016 is crucial for shaping collective efforts in light of new challenges, trends and realities toward accomplishing counter narcotic targets. Ambassador Erfani thanked the international community for their continued support towards Afghanistan and noted that while Afghanistan has come far in the last 14 years, challenges remain and support is still needed. He noted that Minister Azimi would speak on the main challenges still faced by Afghanistan in terms of illicit narcotics as well as the commitments and programs Afghanistan has for the next three years to address the challenges of drugs. After Minister Azimi’s speech, Ambassador Erfani chaired comments from the delegates present and thank them for their continued interest and support for Afghanistan and for their commitment in the truly global fight against narcotics. 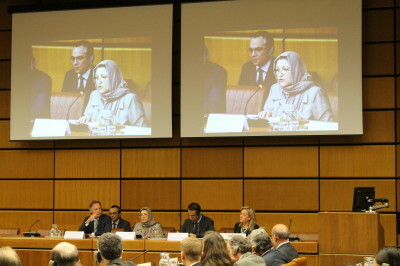 It is a pleasure to have the opportunity for the second time to address an UNGASSSpecial Event to discuss issues of high priority in addressing the world drug problem and to present an overview of our counter narcotics efforts in Afghanistan, the emerging challenges and trends as well as the initiatives that we are undertaking under our new counter narcotics strategy. I would like to thank the Commission for Narcotic Drugs and the Board tasked with UNGASS Preparations for the invitation extended to me and for the opportunity to speak in today’s meeting. The United Nations General Assembly Special Session on the World Drug Problem in 2016 will be crucial to shape our collective efforts in light of the new challenges, trends and realities toward accomplishing our counter narcotics targets as set out in the Political Declaration and Plan of Action of 2009. I commend the leading and facilitating role played by the Commission and the Board throughout the preparatory process over the past few months. 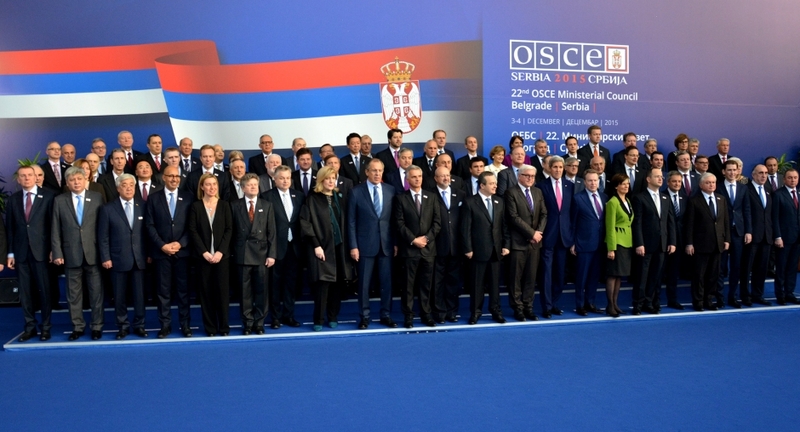 We also highly value the efforts being made by the Permanent Missions in Vienna under this important process. The Government of Afghanistan is committed to actively contributing to the preparatory process and we are glad to see that Afghanistan has the opportunity to serve as the First-Vice Chair of the Board in run up to the Special Session in April 2016. In this context, we strongly support broader collaboration, based on the principle of shared responsibility, among all member states, relevant UN bodies, international and regional organizations, and civil society organizations, to address to world drug problem. Afghanistan, together with our international partners, has come a long way over the past 14 years with considerable achievements in all political, economic and social areas including in building the foundations of a democratic system and important national institutions in all sectors. The Afghan National Security Forces have been able to take full responsibility for providing security across the country and efforts have been underway in the past few years to further improve their capacity in addressing security challenges in the country including those associated with the menace of narcotics. Counter narcotics has remained a cross-cutting issue under our national development agenda and considerable efforts have been made in areas such as legislation, institutional building and policy development aimed at improving the capacity of the Government to counter this multi-dimensional menace in the country. The Ministry of Counter Narcotics of Afghanistan as a policy making body is leading and coordinating all counter narcotics efforts in the country andis making every effort to eliminate the opium economy in the country including through development and implementation of new programs and initiatives and the revision of the current laws and strategies under an integrated approach. Despite the efforts and achievements, however, illicit narcotics continues to inflict a great deal of damage to our society as well as to the region and the wider world. Firstly, organized crime groups are continuously strengthening their networks in our region and beyond. Their activities include not only drug trafficking but also trafficking inchemical precursors to Afghanistan and border areas for heroin production. Theopium economyprovides funding for the terrorist activities. Additionally, a demand-driven marketaccelerates the increase of drug cultivation in Afghanistan and the region.In this context, we believe that the growing link between terrorism and narcotics needs to be addressed under a holistic approach and political commitment at all national, regional and international levels needs to be strengthened. We need to discuss ways to increase operational capacity at both national and regional levels to address trafficking of drugs and precursors as well as to address the new trends including the growing link between narcotics and terrorism and the increasing reliance of traffickers on the sea routes particularly across the southern route. Furthermore, a special attention needs to be given to address the financial aspect of drug trafficking. All countries need to improve border security and management and make full use of facilities and technologies to identify and eliminate safe havens of drug traffickers and organized criminal groups. Secondly, many countries including Afghanistan have been witnessing an alarming rate of increase in the number of addicts over the past few years .In Afghanistan, tragically, there are three million addicts in the country, among them 9% children and 11% women. We believe that integrated efforts in both prevention and treatment areas need to be made to address this tragic phenomenon and greater financial support needs to be provided to the most affected countries. Thirdly,many farmers who are involved in poppy cultivation in Afghanistan do so for their livelihood and they only gain 4% from this 61$ billion illicit business.The lion’s share of profitsare skimmed off by the Taliban and regional and international drug networks. As we have long argued, it is with the provision of sustainable alternative livelihood that we can counter the appeal of poppy cultivation in Afghanistan and other countries. As successful experiences in various countries show, it requires endurance and well-funded investments to provide alternative livelihood to the farmers and to liberate them from the clutches of the drug and terrorist networks. Experiences also show that in order to increase the effectiveness of alternative livelihood programs we need to incorporate them into the broader economic development agenda and that such programs need to be complemented with infrastructure development and access to national, regional and international markets. The National Unity Government of Afghanistan remains committed to the elimination of opium economy. The new Counter Narcotics Strategy of Afghanistan and the relevant action plan will soon be shared with the international community which will set the priorities and the implementation plans for the years to come. 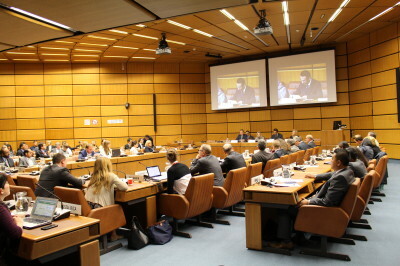 In my presentation at the Special Event to commemorate the International Day against Drug Abuse and Illicit Trafficking on June 26, 2015 in Vienna, I introduced our major ongoing efforts as well as the outline of our new programs and initiatives. While we are committed to the implementation of such programs and initiatives, we will need continued long-term and demand-driven support to our counter narcotics efforts in the years to come. Our international partners have already provided considerable support including through UNODC, for which we are grateful. Let us seize the remaining months until UNGASS 2016 with a view to facilitate open and frank discussion about our responsibilities and targets, and on how to meet them based on the principle of shared responsibility. I look forward to be part of this important session in 2016.